The fact that I really dislike driving would seem to make the choice here rather easy. If I had my choice, I would not drive at all (and quite frankly, it’s ironic the amount that I do drive with this attitude). 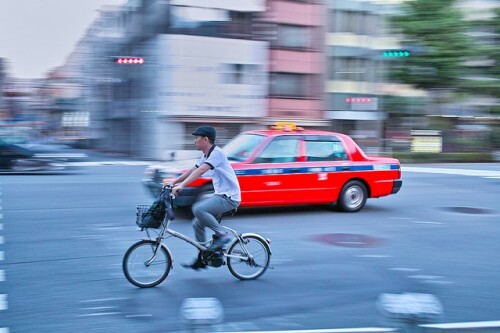 I really miss the days when I lived in Japan where the public transportation was so efficient and widespread that there really wasn’t a reason to own a car no matter where you lived. I used to commute to work there by train and bus, and I did a whole lot more walking around (which I like) than I am able to do in the US. Unfortunately, the reality is that public transportation in the US is a shadow of what it is in Japan and that for most travel (unless you live in a big city), you’re going to need a car. So while I know that I will need to use a car next year, that doesn’t necessarily mean that I actually have to own one. I could simply rent one when I needed it as I have done in the past. With the decision to be purposely homeless for the beginning of this minimum wage challenge, the next big budget question that needed to be analyzed was whether or not I should go carless. While this would be a big convenience issue for most people, the convenience aspect really wasn’t an issue for me. I have been carless for long periods of time in the past and even with the inconvenience, I have no problem making it work. While it does entail a lot of sacrifice, the financial rewards are pretty darn impressive. If I needed to make a car payment to own a car, then that would be the end of the discussion and going carless would be the best course of action. This, however, isn’t an issue since I already own a car which has been fully paid. I have a 2008 Nissan Versa with approximately 85,000 on it. I don’t have any monthly financing payments, so this cost isn’t something that I will need to worry about either way. When it comes to this part of owning a car, there is no difference between having a car or going carless. This is an area of concern. If I go carless and simply rent in instances where I absolutely need a car, I don’t need to worry about the cost of maintenance and repair to my car. I took a look and I spent $589 last year in this category on my car. It included a new set of tires, replacement of a license plate light, replacement of a back tail-light, oil changes, tire rotations, and other small odds and ends. In the 1.5 years that I have owned it, I haven’t had any major problems with it and as of today, it’s still running fine. The question becomes what can I expect to pay in this area next year. If everything goes perfectly, it wouldn’t be much at all. I won’t be needing a new set of tires which was the major expense last year. If I have absolutely no problems with the car, I would pay less than $100 in this area for the year. Reality says that everything working out perfectly isn’t likely to be the case and that there will be additional costs along the way. The problem is that what these costs will be is anyone’s guess, but I do have the option to reevaluate whether I need a car if a major expense arises. With this in mind, there really isn’t much of a difference for me to keep a car or not have one, at least until i’m faced with the decision of having to pay a lot to keep the car running. I know from experience that having a car will mean spending more on gas than not having one. When I have a car, I’m much more likely to use it to do everyday errands rather than alternatives like walking or biking simply for the convenience. I have little doubt that if I keep the car, I will end up spending more on gas. That being said, I also have control over how much I spend so the only one to blame in this situation would be me. If I put my mind to it, I certainly could rarely use the car and use alternative forms of transportation the vast majority of the time. While it’s likely I will end up spending a bit more in this area with a car, the fact is that it’s not mandatory that I do. This is one area where it seems obvious that I would save money not having a car, but the truth is that my insurance costs would be only a bit more if I chose to rent when needed rather than keep my current car. I know that it’s possible to get a rental car for about $20 a day with a little bit of work online, but that is with the assumption that I have my own insurance. If I have to pay what the rental car agencies charge for their insurance, the daily rate will more than double in most cases making driving my own car much more reasonable. While purchasing insurance from the rental car agency is outrageously expensive, it’s possible to get liability insurance from regular car insurance providers for these instances. Purchasing this type of rental car insurance would be less expensive than insurance on my own car, but using self bought and credit card rental insurance comes with some inherent risks. The major risk is that there will be some damage to the rental car. By using my credit card in conjunction with buying a liability insurance policy, I would have a $250 deductible for any damage done to the rental car. In this instance, it isn’t a major accident which is of concern, but a minor one which is much more likely to happen, and for which I have little control over. With a rental car, I can’t decide whether or not to fix the cosmetic damage, and will have to pay no matter what. Take, for example, if a rock hits the window of the car (which did happen this year to my car) and leaves a crack in the window. For my car, I simply left it to see if the crack would spread. It didn’t, so I have a small chip in my windshield, but it does absolutely no harm and is not an issue. If, on the other hand, this was done to a rental car, I would automatically have to pay for the windshield repair. 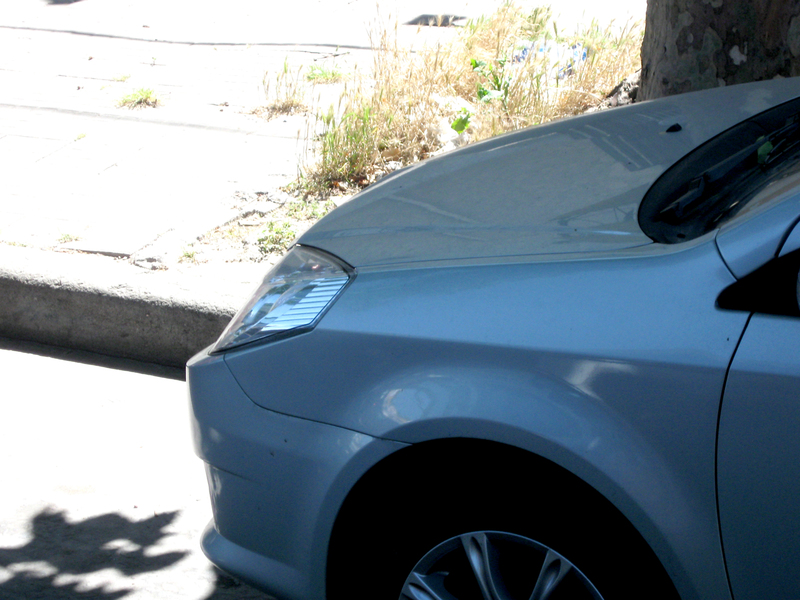 Another example is a small dent I have in the rear of my car that also happened this past year. I’m pretty sure I know what happened. A kid likely swung the door open quickly and it hit the back of my car leaving a dent (it’s exactly what it looks like) and then the car left without leaving a note. With my own car, since I have a high deductible, I simply decided not to get it repaired. If it had been a rental car, however, I would have had to pay for the deductible to make the repair. Both these situations show that I have much more flexibility in deciding how to handle small repairs if I keep my own car rather than opt for using a rental car. The difference in insurance costs is about $200 for the year which is a significant amount, especially on a minimum wage budget. I need to decide is the flexibility and risks that come with using a rental car outweigh the savings I would get with insurance. Another area of consideration is the cost of registration and taxes for the car which ends up being several hundred dollars. This includes getting a smog certificate which I think my car would pass without an issue (so there wouldn’t be any additional repair costs), but still adds to the overall cost. Add this cost to the extra cost for insurance and the possible maintenance and repair costs that could appear and going carless is definitely the less expensive option of the two. With all this in mind, it might be a surprise that I’ve decided to keep the car on a trial basis much like I’m going to try traveling on a trial basis for the first few months. The registration on the car comes up in April of 2013, which will mean I won’t have to pay the renewal, licensing and registration fees for this until then. This should give me a good indication of whether it makes sense for me to keep up the car, or to see that it’s simply too expensive to keep and to find alternative ways to get around. The main reason for me making this trial decision is because I have decided to travel full-time. If I had a place of my own in a set place, I would go carless. In that situation, I would only need to rent a car maybe once every several months. Being on the road, along with the new rule that I can’t stay with friends or relatives for more than a week, means that I will have to travel a lot more often which would require me to rent a car (or pay for other types of transportation) at least several times each month. This tells me that keeping my current car will actually be less expensive with this lifestyle. There is only one way to really find out. Over the next three months I will track the costs of the car and compare them with what I would have had to pay without it. That should put me in a good place to make a judgement as to whether I made the right decision or not toward the end of March. At that point I can reevaluate the situation and make another decision from there. One of the items that people most frequently go into debt to purchase is a car. That’s not surprising given that even the most basic brand new car begins around $12,000. And that’s for four wheels and a seat; no extras or room for many passengers. Most people don’t have that kind of money lying around unless they’ve made a concerted effort to save for the day they need a new car. Most people just assume that a car payment is one of those things in life that they’ll never escape, like death and taxes. But it doesn’t have to be that way. We’ve always managed to have two cars with no debt. What is required is a change in expectations. I know I’ll never have a new car. I don’t want to buy something that will drop 30% in value the second I drive it off the dealer’s lot. And I don’t want to spend that much of my savings just so I can say it was “new” at one time. It’s not worth it to me. I would much rather focus my buying efforts on finding a good quality used car that is selling for a fraction of its true worth. A car is not about image, to me. It’s about having paid for, reliable transportation. Period. The fastest way to incur debt on a car purchase is to get mixed up in the idea that your car somehow says something about you. Trust me, it doesn’t. All a car says is that you can get from place to place. I also never buy more than I need. Why have a big SUV for a small family? Why load on all the extras if you don’t need them? Don’t need it, not going to buy it. That simple philosophy has saved me thousands in car money over the years. I call my ideal car a “Grandma car.” These are the cars that are being sold by the heirs of an estate just to get rid of them. The heirs don’t care about getting the true worth out of the car; they just want to get rid of it and eliminate one more responsibility. Maybe the elder has died, gone into a nursing facility or simply can’t drive any longer. Whatever the reason, the heirs don’t want to deal with the car, so they unload it cheap. Usually these cars have been well cared for and driven very little. They are the ideal cars. I’ve driven some pretty impressive land yachts this way, complete with every extra offered. I may look strange, being a relatively young woman behind the wheel of a massive Crown Victoria, but it’s paid for and I could care less what people think. Failing a Grandma car, I look for other cars that are well maintained and, for whatever reason, going for a song. I once found one being sold by a “car guy” who maintained that car better than any professional mechanic. It was a beauty. And he was asking about $3,000 below Blue Book. I asked him why and he said it was because it had been his son’s car and the son had died of cancer. He only wanted to get it out of his sight and sell it to someone who would give it a good home. I bought it for $3,500 less than Blue Book because the car guy thought I was a nice, sympathetic person who would cherish that car. I did. Private sellers are the place to look for deals, not car dealers. 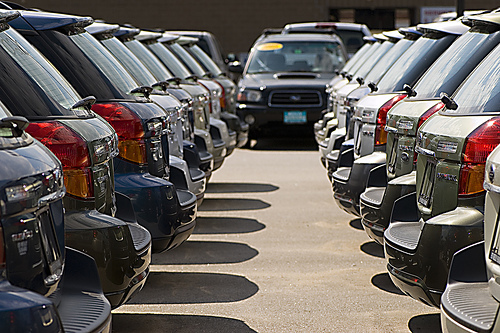 Car dealers usually want too much profit from their used cars. You can do better by scouring the classifieds and looking for someone just looking to unload a car cheaply. In the beginning when we had no money we weren’t as picky about our cars. We just bought the cheapest thing we could find that ran. In other words, a Beater. My first car was a cast off from the state’s vehicle fleet. That Chevrolet Citation was a piece of work. It was eight years old when I got it and had over 100,000 miles on it. The engine groaned when you put your foot on the gas and if you went over 55 MPH, it shuddered and rattled like it was going to come apart at the seams. It had no extras and AM radio only. It cost $1,500. But it ran and got me to and from work and school safely and reliably for four years before finally kicking the bucket. But after four years, I had saved enough to “trade up” to a used Ford Taurus. Compared to the Citation, I was living the high life. I’ve traded up a little every time I’ve bought a car and I no longer need to look for Beaters, but I still don’t spend any more than I have to to get a solid, reliable used car. The trick to buying cars debt free is to always be saving for your next car. Buy something very cheap in the beginning and then start the car fund. You know you’re going to need one at some point, so start saving for it the minute you buy the current car. If you keep the current car until it dies by the side of the road, you’ll have many years to build up a replacement car fund. Save often and aggressively and you’ll probably be able to afford something a bit nicer each time you buy, especially when you add in the money you’ll get from selling your current car. If you search for a great deal, don’t buy more than you need, and haggle well, you’ll probably have a little of your savings left over as seed money for the next car. Basic car maintenance skills can be helpful in keeping free of car debt. If you are buying older cars, there is a chance that some things might need replacing sooner rather than later, like brake pads, belts and hoses. If you can do those repairs yourself, you’ll not only save yourself a lot of money, but you’ll take some of the anxiety out of owning used cars. A final note: Buying good used cars will save you in other areas, as well. Insurance rates are often much lower on used cars. And, since older cars aren’t as attractive to thieves, you’re less likely to have theft problems, as well. Owning a car outright is far preferable to making payments. If disaster strikes and you lose an income, a paid for car will still get you to work and interviews. It’s yours and they can’t take it away, even if it’s the ugliest thing out there. If you lose a financed car to the repo man, you’re hosed. Plus, with a paid for car, you can sell it if need be and pocket the funds. It’s a myth that you have to go into debt to own a car. But you do have to learn to buy smart and to adjust your expectations. Cars are transportation, no more and no less. A Beater car will get you to the same places as a a shiny new car for a fraction of the cost. If people think you’re strange or the devalue you because of your car, you don’t need them. Just buy a car and leave the image and ego out of the equation. You’ll save a fortune and keep yourself out of debt. Nearly every consumer is guilty of making this mistake at some point. People often buy a pickup truck so they can haul or tow something, buy an SUV or minivan because they want to make sure that “everyone fits” when family visits, etc. That’s all fine and good when those are common needs, but the trouble is that these are often rare uses. Why not rent a truck when you need to tow, or rent an SUV when family is in town? That way you can buy an inexpensive economy car for every day needs, and then use some of the money you saved to rent a special vehicle if and when you need it. Before you buy your next vehicle, ask yourself what you’re going to be doing in one, two, five, and 10 years. Are you planning on children? If so, it might make sense to buy a four-door instead of that snappy little coupe. Are you moving to a snowy climate? If so, it might make sense to opt for all-wheel-drive. When you don’t make a plan and you have to trade-in your car prematurely, you lose money (sometimes a lot of money). A classic car sales technique is to ask the customer to negotiate payments instead of the vehicle’s cost. Instead of lowering the price to get you a lower payment, dealers can often extend your finance term instead. You end up paying more for the car and more finance charges. So, instead of negotiating on payment alone, negotiate the total price AND payments. Consumers often feel that they must have a certain feature on their next car, and while it might make sense to mandate a safety or performance feature, you should never get caught up in “non-essentials.” Take color, for example. Color has nothing to do with the way a car performs, yet I’ve seen customers walk away from a big discount because the only car I had to sell them was the wrong color. The same can be said for other non-essential features like leather interior, sunroofs, stereos, etc. It’s important to get what you want, but it’s also important to get a good deal. If you’re flexible on features (especially non-essentials), you’ll always get a better deal than someone who isn’t. Impulse buying is expensive for a lot of reasons, but the main reason is this: Car dealers know how to spot an impulse buyer and they are quick to take advantage of their emotional (and often uniformed) state. Just about every financial decision we make involves comparing numbers. But, often the numbers shown are not the ones you should compare. The sellers of automobiles and related products are masters at leading people down the wrong financial road with misleading numbers. Whether buying a car or a tank of gas, it is easy to be distracted by the numbers in large lettering on the signs. But always think about the difference between the total amount of money in your pocket before and after the transaction. That sounds obvious, but consider these common examples where numbers send the consumer off in the wrong direction. Dealers have found 0% financing offers to be one of their best marketing tools. The idea is to distract buyers from looking at used cars by making it appear that they will save money financing a new car. But if you look at the fine print, almost all 0% financing offers are in lieu of a rebate. Consider a new car advertised for $26,000 with 0% financing for 60 months or a $5000 rebate. What that means is that the car costs $21,000 because if you have the cash you will drive away with $21,000 less in your bank account. If you don’t have the cash the so-called “rebate” is actually a $5000 pre-paid finance charge. Whether that’s a good deal depends on the alternative sources of financing available. For example if your bank will finance the $21,000 for 5 years at an 8% annual percentage rate your monthly payments will be $425.80, which is $7.53 less than the $433.33 monthly payment that results from the 0% finance offer. You should still be wary of the 0% finance offer even if the monthly payments that result are about the same or slightly more than payments on a loan from the bank. That is because no matter what happens in the future you will be responsible for the $26,000 owed to the dealer. But if a bank loan is paid off early because you totaled the car or trA 0% finance agreement is the kind of deal I call a “two-headed quarter” for the dealer because it insures that the finance charge will be paid to them no matter what events happen in the future. As a general rule it is better to shop for the lowest cash price for a vehicle and then compare different financing offers. Auto manufacturers have created other complicated offers in place of rebates to distract buyers. With the high cost of gas making the news some manufacturers are offering discounts on gas for the first three years of ownership. 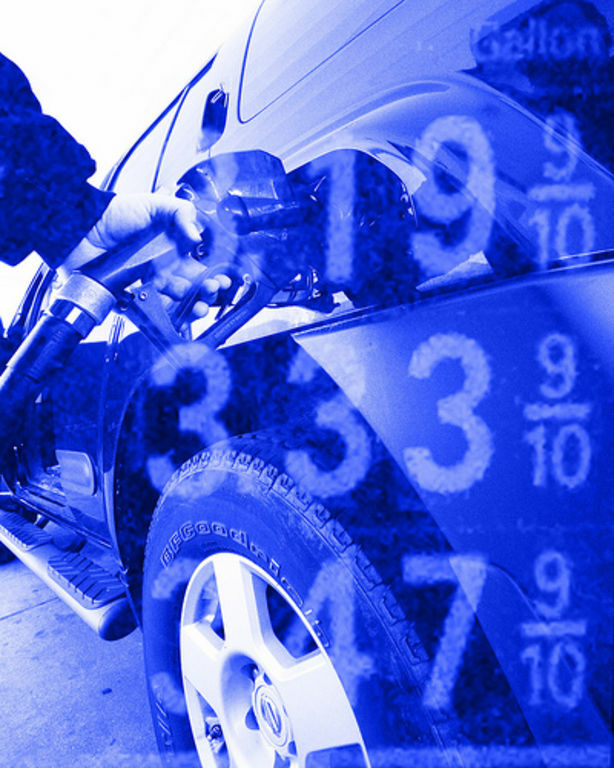 But before you agree to exchange your rebate for gas you will need to do an extensive mathematical analysis of your driving habits, gas buying, and most importantly all the complicated rules and restrictions attached to the offer. It’s a good bet that the cash from the rebate is the simpler and more profitable option. With gas prices hovering around $4 per gallon, it is now common to spend more per month filling your tank than making your car payment. It certainly pays to search out the station offering the best price on gas. But like buying a car, if you focus only on the numbers shown on the signs you might pay more. Before you set off on a trip to the station with the lowest price, think about the total cost. Let’s do the math. If you drive 5 miles out of the way to purchase gas in a car that gets 20 miles per gallon, that 10-mile round trip will burn 0.5 gallons. If you drive that distance to pay $3.95 per gallon to fill a 15-gallon tank, instead of paying $4.00 at your local station, you only save 75 cents. But your trip to save $0.75 will cost nearly $2. Instead of saving a nickel per gallon you will actually spend about 8 cents more per gallon. If that computation took you back to those impossible word problems in high school math, you can easily find out if your trips to purchase low-priced gas are burning more money than you save with this calculator that will compute your net savings on gas after accounting for the cost of the trip. Most auto dealers will push an extended warranty or service contract when you purchase a vehicle. I find it amusing to be sold on how great a product is, only to be told horror stories on all the problems that can occur once I make a decision to buy. But, the reason for pushing service contracts is that the money spent on them is pure profit for the dealer. Extended warranties on cars typically have deductibles and exclude many parts — usually the parts most likely to fail. If you do have a problem you will have to make a claim and negotiate a payment that may not cover the entire cost of the repair. The deception of extended warranties is that you will always find someone who needed expensive repairs on a vehicle shortly after the manufacturer warranty expired. But those cases are the exceptions. If you make it a rule to always decline extended warranties, you will save more than enough money in the long run to pay for the repairs that you actually need. Warranties do not cover routine or regularly scheduled maintenance. If you invest in upkeep rather than an extended warranty, the chance of an expensive unexpected part failure will be reduced. Whether buying a car, filling its tank, or having it serviced, shop for the best cash price. Avoid complicated gimmicks and contracts laden with rules and exclusions. Despite what the salesperson says, if you do the math you will usually find that cash is your best bet. Joseph Ganem, a professor of physics at Loyola College in Maryland, is author of the award-winning book: The Two Headed Quarter: How to See Through Deceptive Numbers and Save Money on Everything You Buy. His Website is TheTwoHeadedQuarter.com.